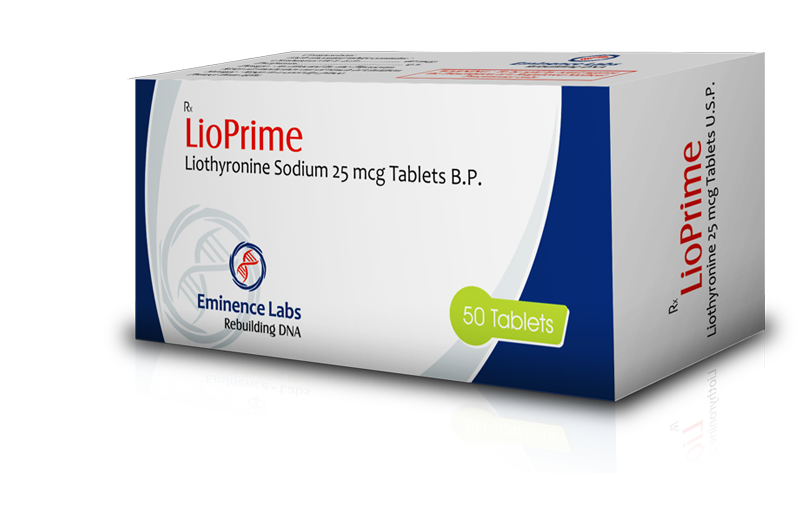 T3-Max-25 (Liothyronine Sodium) by Alpha-Pharma Healthcare. 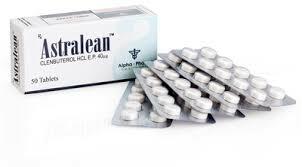 Cytomel is the synthetic form of T-3/Liothyronine and was a commonly known trade or brand name among athletes. 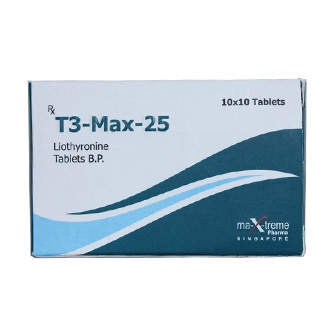 T3-Max-25 (Liothyronine Sodium) is used as a form of thyroid hormone therapy. Most bodybuilders favored this drug over synthetic forms of T-4 (Levothyroxine) due to its vastly superior activity level. The abuse of synthetic T3-Max-25 (Liothyronine Sodium) will result in severe suppression of natural (endogenous) thyroid function. This is especially true of this drug because it actually circumvents the normal thyroid hormone manufacturing process the body utilizes to produce endogenous forms as required. Simplified this is because T3-Max-25 (Liothyronine Sodium) is the most potent thyroid hormone so the body shuts down each level required for production to try to reduce circulatory Thyro3 levels. 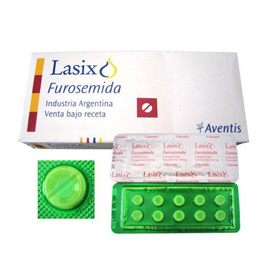 Of course this does not reduce the level if the hormone is being administered exogenously (from outside the body). Since long term use of T3-Max-25 (Liothyronine Sodium) will lead to thyroid function suppression the issue of rebound should be briefly discussed. It is commonly stated that synthetic thyroid hormone abuse will lead to permanent thyroid gland dysfunction. Thyroid hormones are naturally synthesized in our body, but since the molecules are not complex, many pharmaceutical companies make the synthetic variety of the hormones. There are two basic types of thyroid hormones – T4 known as levothyroxine and T3 known as liothyronine. Both are manufactured and stored in the thyroid gland. Thyroid hormone from the pharmaceutical companies are obtained in 2 ways. Either derived from animal thyroid gland (bovine or ovine sources) or made synthetic. Excess thyroid hormone can cause a wide range of side effects ranging from: headaches, mood alterations – irritability, nervousness, anxiety, sweating, abnormal heart rhythms, palpitations, chest pain, diarrhea, menstrual irregularities, worsening of heart failure, shock. Massive overdosage may result in symptoms resembling thyroid storm. Chronic excessive dosage will produce the signs and symptoms of hyperthyroidism.